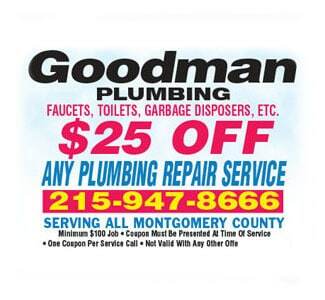 For more than 60 years, Goodman Plumbing has provided master plumbing, heating and air conditioning services to residents throughout the Bucks County, Montgomery County, and Philadelphia areas. Our highly skilled plumbers are able to help you when you need it the most. Do you have an annoying leaky pipe? Maybe a clogged toilet? Air conditioner or heater needs repair? Big or small we do it all! 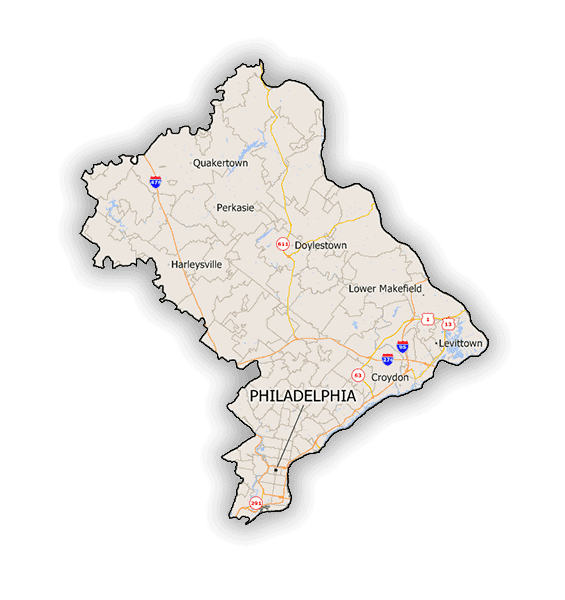 If you are looking for a home services expert including well service and well pump repair in Collegeville PA call us today for immediate service or repair! 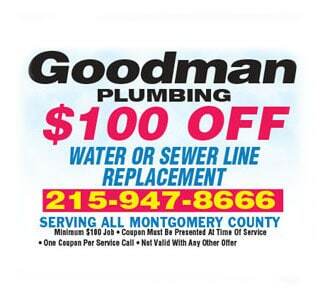 As a licensed Master Plumber in Collegeville we offer everything you need including emergency plumbing, water damage restoration and even HVAC service. As one of the few plumbers in the area that service wells, we have the experience you need to repair your well tank Collegeville or pump at your home or business. 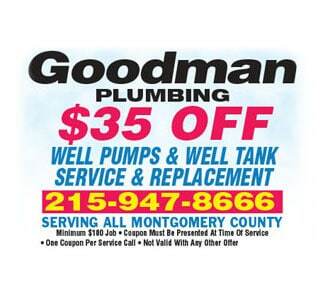 Contact Goodman Plumbing for expert residential well pump repair in Collegeville PA and well service . From hot water dispenser installations to sewer line cleaning, we do all work according to local, state, and city codes. No job will be done illegally. Our plumbing trucks are practically a fully stocked plumbing warehouse so no extra trips should be required.